I'm so pleased to welcome Amanda Cooper to the blog today. 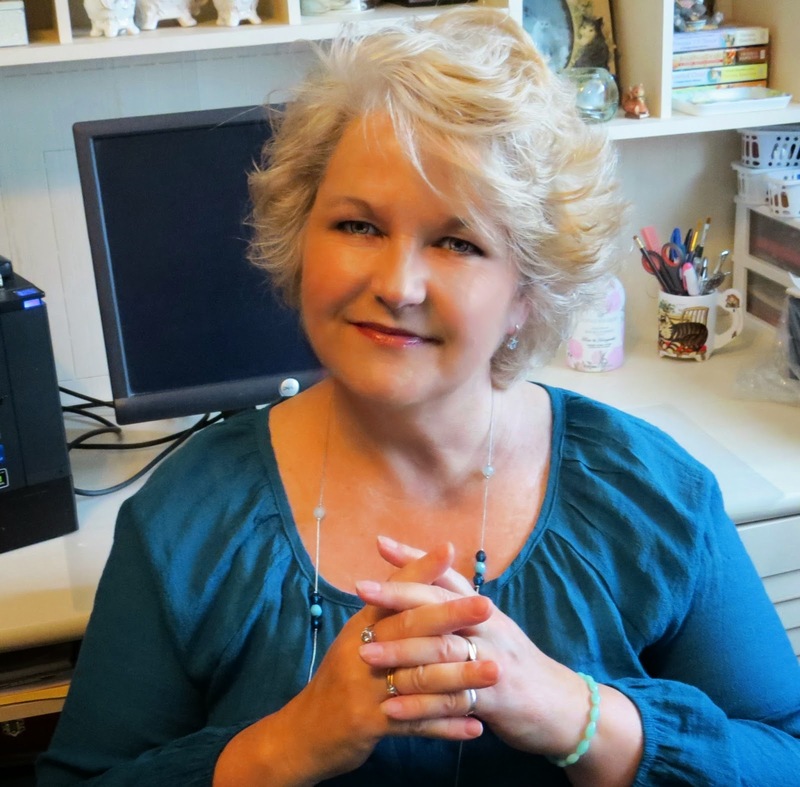 Amanda writes the Teapot Collectors Mystery series, as well as the Vintage Kitchen Mystery series and the Merry Muffin Mystery series which she writes under the name Victoria Hamilton. Shadow of a Spout, the second in the Teapot Collector's Mystery series was just released last week! Kathy: Was there a specific inspiration for Shadow of a Spout? AC: I came across a beautiful copper and metal ‘teapot’ when I was doing research, and the more I looked at it, the more fascinating I found it. It became the ‘teapot’ that Rose takes to the convention to get authenticated. I guess you could say that was the inspiration. Kathy: In Shadow of a Spout Rose goes to the annual convention of the International Teapot Collector’s Society. Have you ever been to a convention of any sort? AC: I am most definitely not a convention-al kind of gal, pardon the pun. No, I’ve never been to a convention, and may never. I think it would be cool to go to a mystery writer’s convention, but I’m a bit of an introvert. The thought of being ‘on’ for days just exhausts me. Kathy: If there was an International Teapot Collector’s Society, would you join and attend meetings and conventions? AC: No, can’t say I would. I’m not much of a joiner. However… if there was a teapot exhibit at a museum, I would just love to attend! I adore teapots, so research is a breeze. I don’t have much room in my home, though, so I collect pictures of teapots more than teapots themselves. Kathy: Have you ever had an item you thought was valuable only to discover it was a fake? AC: No, however, I always have the feeling that the things I value in my home, those items I think are worth something, probably aren’t! I love watching Antiques Roadshow, and it always seems to be the plainest, ugliest clay pots that are worth the most. Kathy: What's your favorite part of a Victorian tea? AC: Well, you’d think it would be the tea, right? And I do love tea. But I adore sweets, so the scones are my number one, because they’re not too sweet. Kathy: Do you have a favorite type of tea? AC: My go-to tea is just plain, black Tetley, the round teabags. In the US it’s called Tetley British Blend, but here in Canada it’s just… Tetley. Kathy: Are you able to share any future plans for Sophie? AC: The end of Shadow of a Spout indicates a change in the air for Sophie, but you’ll just have to wait and see. However… it’s not the end for her in Gracious Grove. You just know she can’t stay away from Nana and Jason and the rest! AC: It’s a busy year, as always. As Victoria Hamilton I write two other series, and both have releases upcoming. Book 3 of the Merry Muffin Mysteries, Death of an English Muffin, comes out July 7th, and Book 5 of the Vintage Kitchen Mysteries, White Colander Crime, November 3rd. I am looking forward to this! Enjoyed the interview! Loved the interview. I have a lot in common with Ms. Cooper. I thought I was the only one who loves Tetley tea. I can't find it where I live so I miss it so. I love teapots and sweets too. And I am an introvert as well mostly. If I go out it's to do calm things. I'm not the convention sort either.